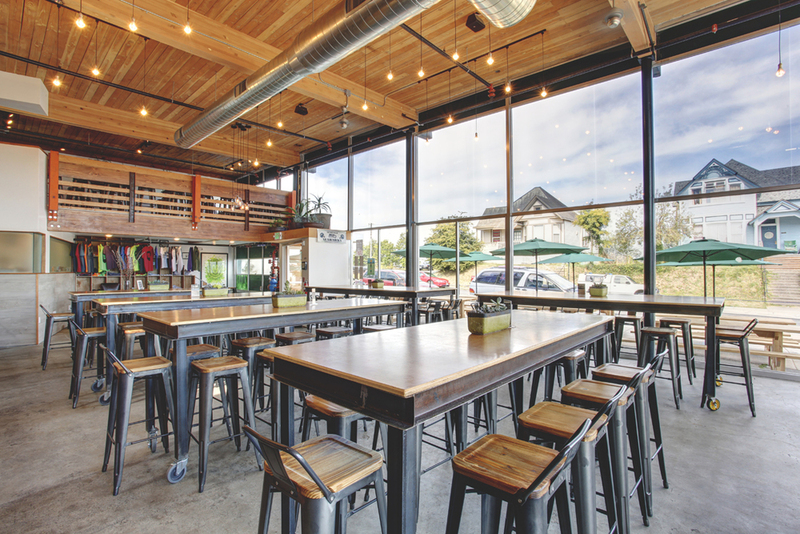 Principal designer and builder for Aslan Brewing, Matt Remsbecher, owner of Slab Design, asked Haven to provide architectural assistance with code issues and coordination for a significant remodel to an aging commercial space in downtown Bellingham. Throughout the design process, Slab chose to reuse old materials from the previous space wherever possible, giving them new life in the finished space. 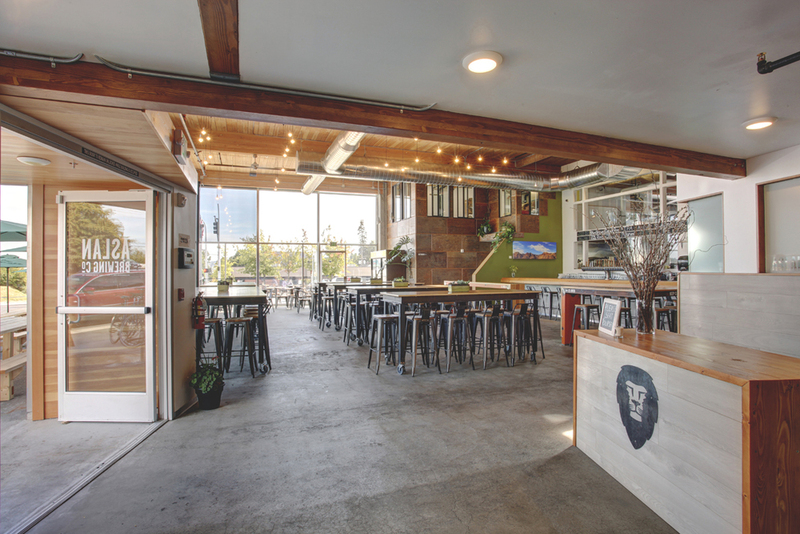 The old floor sheathing was saved to be reused as wall cladding while other creative reuse opportunities were found in the steel and wood bar tops and railings, the large picture windows which showcase the brewery equipment beyond, and the re-exposed structural glulam beams overhead. Following Slab's theme of reuse and authenticity, the brewery itself serves all organic beer, uses local sourcing whenever possible, and is heavily invested in various sustainable practices such as wind power offsetting. 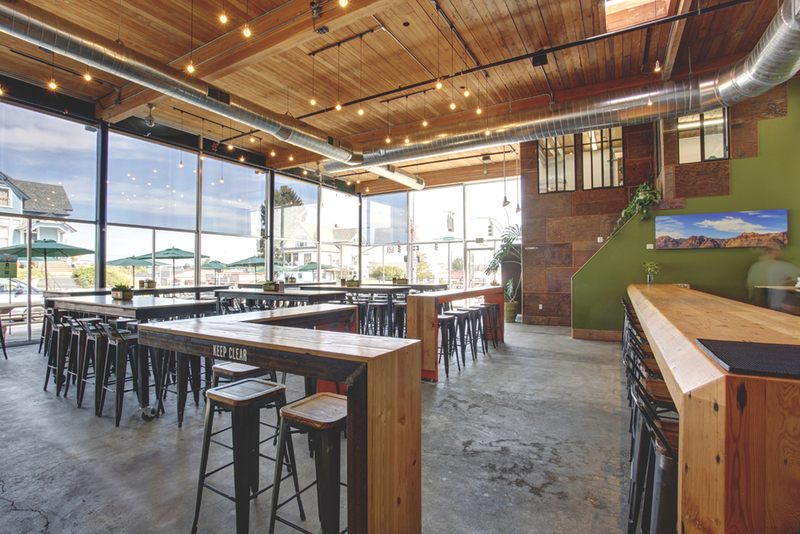 Since completion, the brewery has become a lively and engaging space for the Bellingham beer loving population.